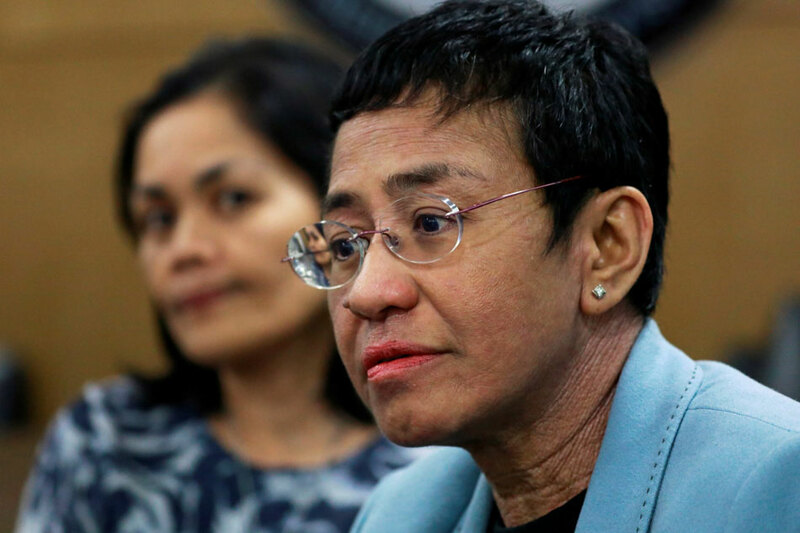 MANILA- News website Rappler's chief Maria Ressa rallied fellow journalists on Thursday to fight for press freedom following her arrest for cyber libel, a charge that advocates have decried as persecution. Ressa, who was freed on bail after spending a night in detention, said her legal ordeal was an example of the government's "abuse of power and weaponization of the law." "I'm saying and appealing to you not to be silent, even if and especially if you're next," she added. Named by Time Magazine as "Person of the Year" in 2018, Ressa was arrested Wednesday over a 2012 Rappler article which its subject, businessman Wilfredo Keng, claimed was "clearly defamatory." Decrying her arrest, Ressa said Philippine democracy was slowly dying. "What we're seeing is death by a thousand cuts of our democracy," she said. Fighting back tears, Ressa vowed that she would face the charges being thrown against her. "We will not duck, we will not hide, we will hold the line," she said. "Press freedom is not just about journalists. Press freedom is the foundation of every single right of every Filipino to the truth so that we can hold power to account," she added. Ressa said she would appeal her indictment. Apart from the cyber libel case, Ressa and Rappler are also facing a tax suit, and the site's incorporation certificate was revoked in 2018 for allegedly violating the constitutional restriction on foreign ownership of mass media.